For ‘heavier’ odours i.e. Indian cooking odours, a contact time of 0.3 seconds is recommended, which will effectively reduce the Face Velocity and rating to one third. Some cooking operations give off large amounts of smoke, which is extremely detrimental if allowed to reach the carbon filters (smoke is a particulate). Grade 50 Activity Carbons are rated 55% on their ability to ‘adsorb’ carbon tetrachloride (CTC) in testing; have a typical surface area per weight of between 1100-1200 m2/g by the BET N2 method (the area being a measure of the area of the walls of the cavern like structure of the activated carbon): Bulk density is between 0.49 – 0.53 g/cc. 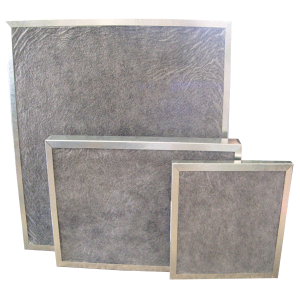 Activated Carbon Panel Filters are generally manufactured using the bonding process to provide a rigid panel which is often called a “Biscuit”. The bonded carbon biscuit can be framed in a metal channel so that it can be easily slid into channel holding frames mounted into ductwork or filter housings. The panel is finished in a “fabric facia” which minimises the dusting from the panel. 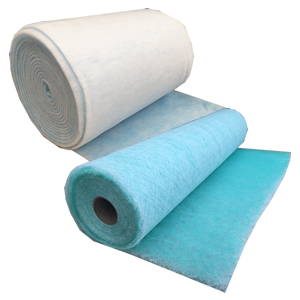 Activated Carbon Panel Filters can also be produced using a loose fill technique, which can offer an improved rate of absorbency. Despite the improved rate of absorbency the Activated Carbon Panels capacity will remain the same The panels are designed to minimise the risk of bypass due to settlement, and for this reason their installation should be designed to be horizontal. The metal cased ‘Discarb’ cells have the highest carbon loading in our range, and have standard or heavy-duty carbon panels permanently sealed into a galvanised sheet steel casing. This construction gives a very strong unit capable of handling large air volumes or where conditions dictate, increased contact time. The advantage of this unit is that with panels sealed in, there is no possibility of air leakage. Activated Carbon Discarb Filter Units can be manufactured to almost any reasonable size, the limiting factors being the overall weight for handling purposes and the size of individual panels. When the unit has finished its useful life it is discarded and replaced with a complete new cell. 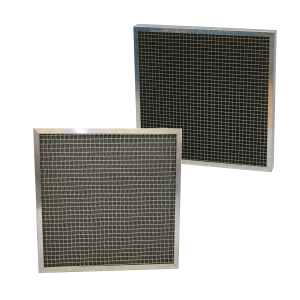 Activated Carbon Filters are manufactured to order at our works, and generally take 7-10 working days.